A round turret invites you into this 2,120 square foot home. 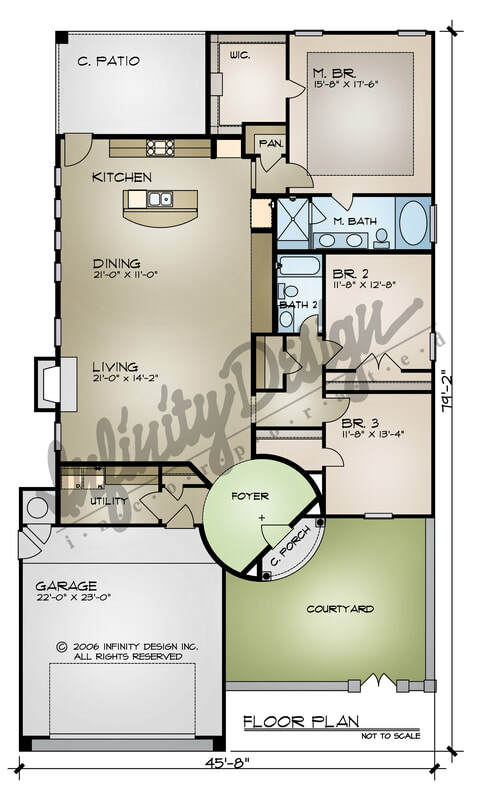 The living, dining, and kitchen are all one room and have a 12' ft. ceiling. Two secondary bedrooms are off of the living room. The master bedroom, located off of the kitchen, has a large walk-in closet. The master bathroom has two sinks, a garden tub, and separate shower.